Our budget 4-piece companion set comes with a traditional look and at a good price. 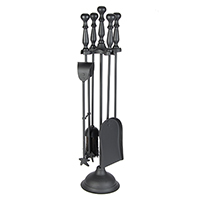 Top quality wrought iron 4-piece companion set . 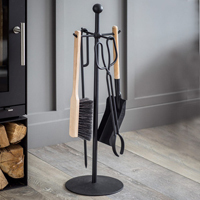 Set includes a poker, log grabber, ash shovel and brush. 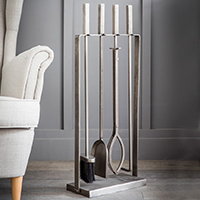 Sleek antique pewter four tool companion set. Top quality brass coated steel 4-piece companion set. 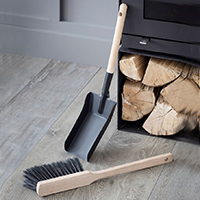 Set includes a poker, log grabber, ash shovel and brush. 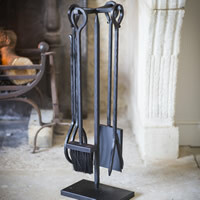 Black metal log holder with integrated 3 piece fireside companion set.